Wells Fargo & Company, headquartered in San Francisco, California, is the third largest bank in the U.S., providing banking and financial services throughout the U.S. and internationally. It runs hundreds of marketing campaigns and promotions for customers and prospects annually, the information from which is invaluable to customer acquisition and retention, development and launch of new revenue streams, and customer service. Marketing campaigns are run through Eloqua, a cloud based enterprise marketing automation software application owned by Oracle. Since response and tracking data for their campaigns is stored on the Eloqua database, few members of the Wells Fargo marketing team has only limited access to the data, via a user interface provided by the application. This constraint made running reports difficult and constrained visibility to campaign results. A search began for an outside vendor with experience in data migration and custom reporting to extract campaign data from Eloqua, store it on a local Wells Fargo database, and create a reporting system accessible to the internal Wells Fargo marketing team. The vendor had to be able to create a cost-effective application that could be minimally disruptive in deployment, robust enough to provide complex reporting capabilities that could ultimately download data to spreadsheets for marketing associates to work with. With significant data warehousing and reporting experience to draw upon, Innovare Technologies was awarded the contract over several other vendors in the selection process. The development effort resulted in a robust solution offering global availability, cross-platform and cross-browser compatibility, improved security, back end compatibility, and effective maintenance by Innovare team. Highlights of the new solution are reporting capabilities that include the creation of charts, graphs and diagrams, and data exports into PDF as well as XLS formats. After a year of updates and maintenance of the application, Innovare was able to hand maintenance off to Wells Fargo’s internal development team. ASP .NET, C#, Web Services, SOAP, SQL Server, Telerik, JQUERY. 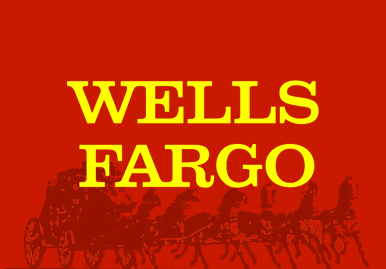 Learn more about Wells Fargo.